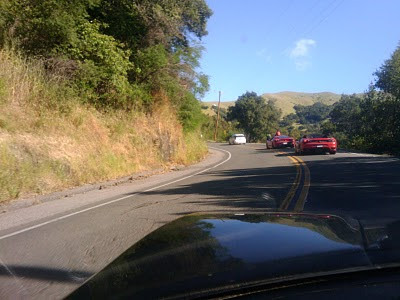 There is a regular gathering of Ferraris up in Marin county. 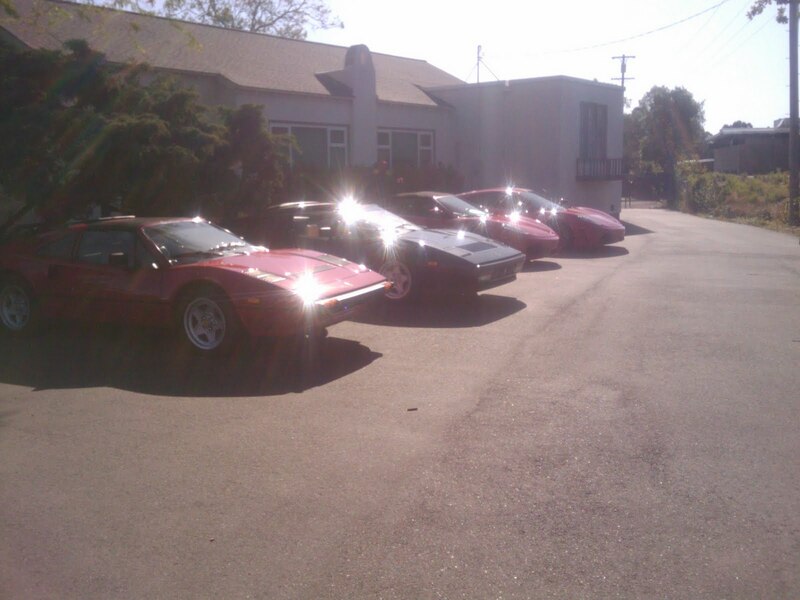 It's one of the things I was most looking forward to when I bought the Ferrari. Today was my first ride with the group. We all met in a bank parking lot. Well, we actually met coincidentally at a gas station just down from the bank. We must have created quite the scene. After a quick but unhurried breakfast, it was time for the run. It was spirited, but not dangerous. There were tons of bicycle riders so we had to take it easy. Most of the riders were pointing and waving, although I saw at least one finger. I think that rider was just startled by the unbelievable bark of the 430s in front of me. This corner was slow enough to take a quick shot of the lead dogs. At a rest stop, a bicycler saw these two in front of me and asked , "Can you keep up?" "Everywhere but the straights," I replied. The front car is a 430 Scuderia. Basically a race car for the street. Behind is a 430 Spider (possibly the 16M version). Our pack outside of the restaurant where we had breakfast. It was a great mix of old and new. 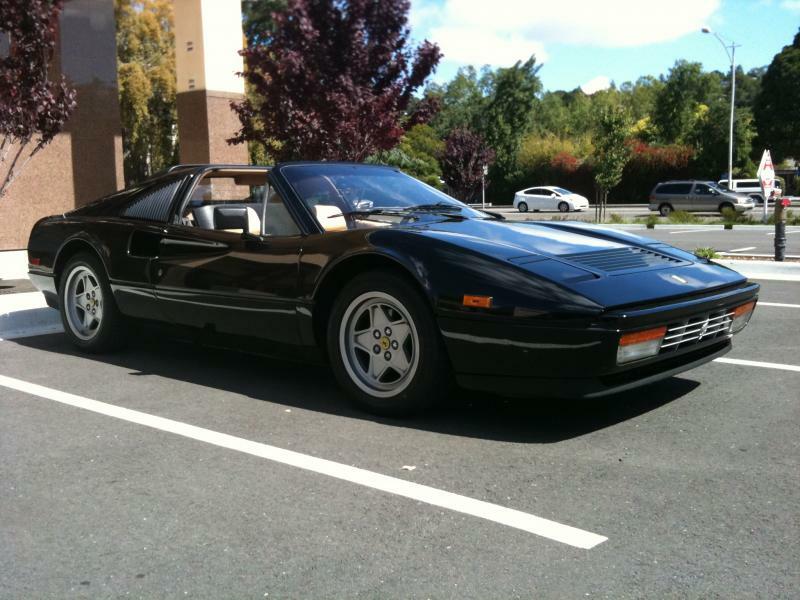 The closest car is a 308, then my 328 followed by the 430 spider and the Scud. I got home, fired up the computer and saw that someone else had taken this photo of my car and posted it already. Man this was fun! I can't wait to do it again. Only another day and you'll be able to get back to the love of your life. I think the title of this blog needs to change to Never challenge a man called Doc who owns a 328 to a race! I can't imagine how much enjoyment you are getting out of this! Left a couple pics for you on my blog doc... congrats on the car! What, Another Ferrari-Themed Post? OK!